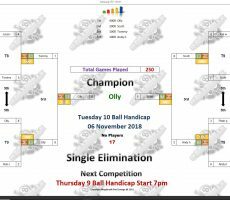 TUESDAY 10 BALL – 6th NOVEMBER : OLLY WINS. 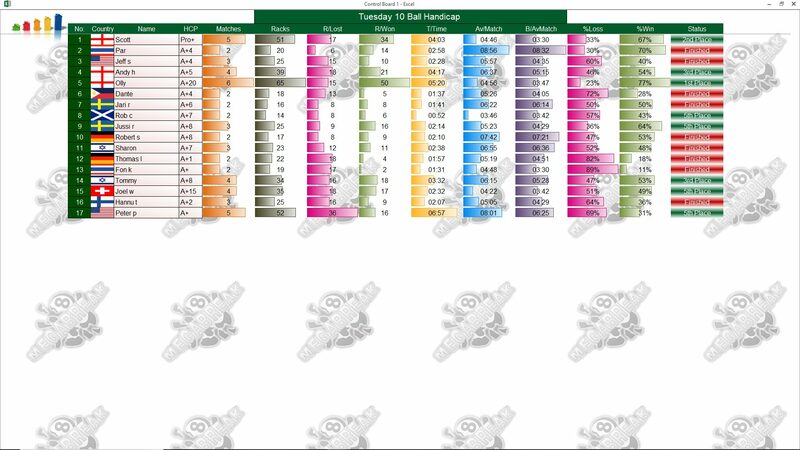 Megabreak’s Olly Downey was back in the winners enclosure for the first time in two years on Tuesday to become our 10 Ball Champion for this week. 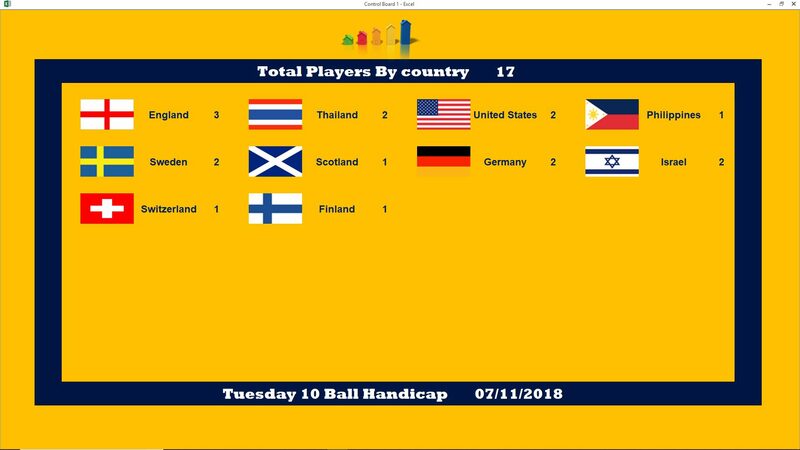 In a tournament which was dominated by the English expats, he beat me in the final by 6 racks to 5 (race 6-7) to collect the 1st Prize of 4000 baht. He was on top form all night to stay undefeated through six matches, and ended up a worthy winner. 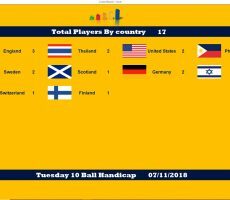 The only other English player on the evening, Andy Hall reached the semi-finals along with Israeli regular Tommy Fineman, and they each took home 1000 baht. 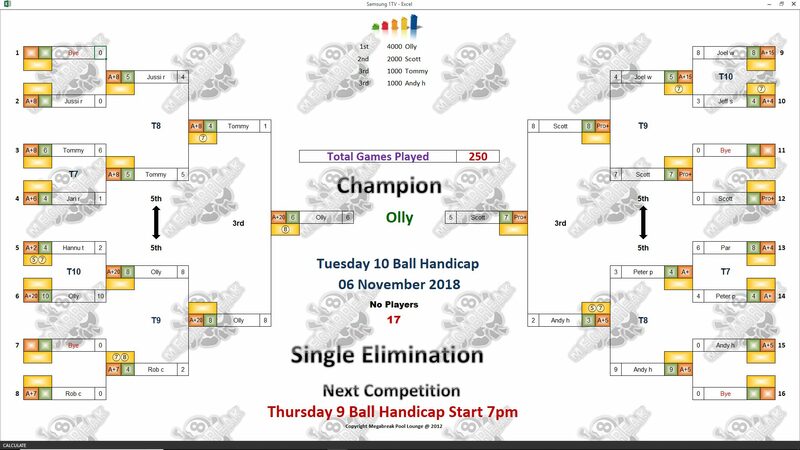 Champion : Olly (A+20) – 4000 baht. Runner-Up : Me (Pro+) – 2000 baht. 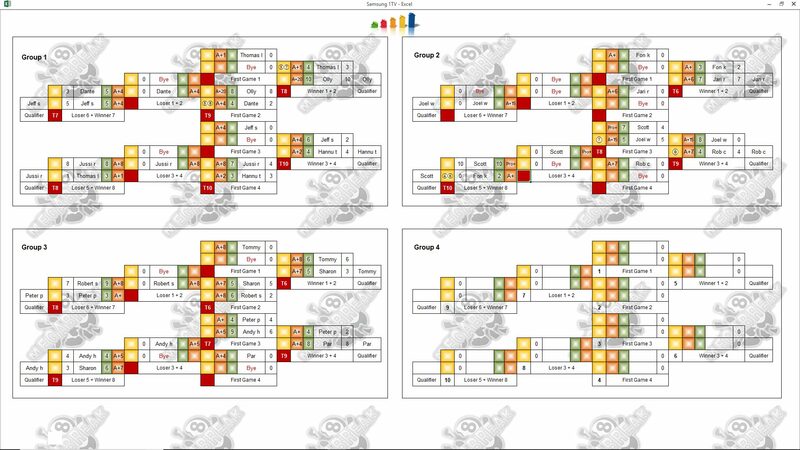 Semi-finals : Tommy (A+8) and Andy (A+5) – 1000 baht each. Consolation for me as losing finalist was buying Olly in the Player Auction!! 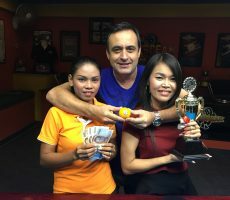 From a Total Prize Pool of 14900 baht, we shared the 1st Payout of 6k. 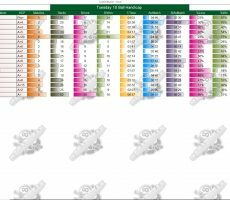 1st : Me (Olly) – 6000 baht. 2nd : Gan Kanchana Chinboot (Me) – 4200 baht. Equal 3rd : Tommy (Himself) and Andy (Himself) – 2000 baht each.